Entries are now closed for the DMC Cross Stitch Contest, which launched on 1st April 2018 and ended 31st May 2018. 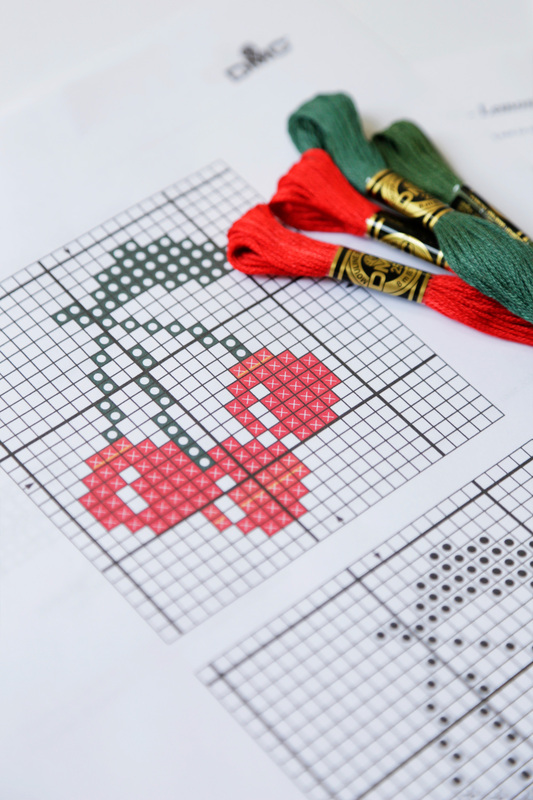 To celebrate the launch of our new Snap & Stitch tool, DMC invited fans to submit their ‘Spring Floral’ cross stitch patterns for a chance to win $500 cash prize and have the winning design turned into a DMC free pattern. This competition was open to everyone, everywhere. - Send us your “Spring Floral” cross stitch design by uploading the image to Instagram with the hashtag #DMCxstitchcontest. Your entry can be a stitched design or simulation. - The complete design in black & white or colour (File format: PDF or word document). - Colour codes and instructions for the pattern. You can find the colour codes on the product page below the colour swatch on dmc.com. The winner will receive $500 cash prize, and their design will be turned into a DMC Free Pattern. We love running competitions for our community of crafters, which is why we want to make it easy for you to understand how to enter, how the prize is awarded and how we work with artists. we’ve EXCLUDED anyone professionally connected to DMC from entering. 2- You don’t need to purchase anything from dmc.com to take part in this competition. Entries with DMC products will not be favoured in the judging process. 3- The designs you submit to the competition need to be fully created by you. Do not submit entries that have have won competitions or awards in the past. 4- Please make sure that your entry does not contain anything that may infringe or violate the rights of any third party. If you are selected as a winner, you will be required to sign a waiver to confirm that the design you’ve submitted is your own original artwork. If we receive a claim from a third party stating that the design is their own, you agree to assist DMC to resolve this matter, and if necessary, satisfy any claims directly with that third party. 5- By submitting your design to this competition, you acknowledge and agree that if you win the contest, you’re giving DMC the right to display the design on the website and in any and all media (including, without limitation, on our social media channels, websites and tangible media) without notification. We will automatically have worldwide, royalty-free, non-exclusive licence for a term of 1year commencing from the first date of the competition. To Enter: It’s easy! 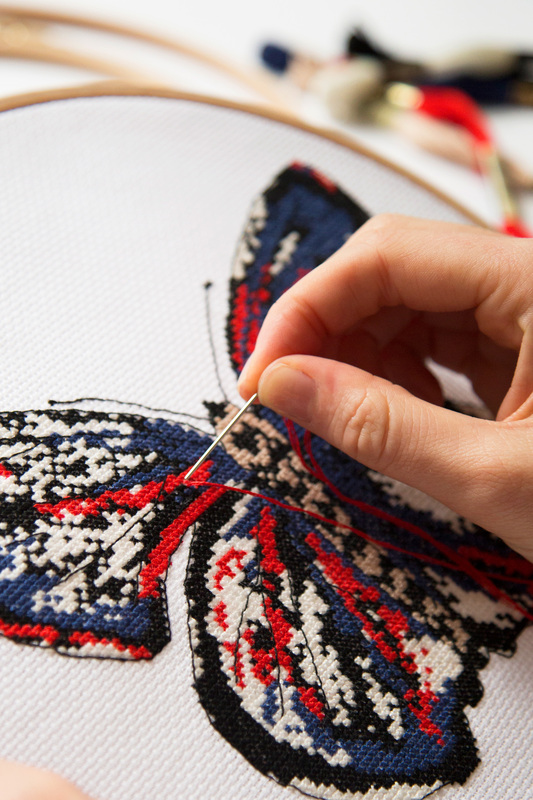 Simply upload your design to Instagram including the hashtag #dmcxcstitchcontest. Once the competition if over, the winner(s) will need to send us their design with colour codes and stitch instructions. The Prize: The winner will receive $500 cash prize, and their design will be turned into a DMC Free Pattern, once we confirm that they are compliant with the terms and conditions and design rules. How We Will Contact the Winners: We’ll contact the winners via email or social media within 30 working days after the competition ends. If you are one of our lucky winners, you must respond to us within 10 days otherwise the prize will be awarded to the next placed compliant entrant. 15.Unfortunately, if you suffer any loss or damage that arises out of or in connection with the competition or prize itself (whether in contract, tort (including (without limitation) negligence), statutory duty or otherwise) DMC won’t be liable for this. 16.If this competition can’t run properly because of fraud, tampering, technical errors or anything else that is beyond our control which affects the running, administration, security or fairness of this competition, we reserve the right to disqualify any person involved. We will also have the right to cancel, modify or suspend the competition, subject to written directions from a regulatory authority. 17.Subject to written directions from a regulatory authority, if someone or something tampers with this competition in some way whether by fraud, technical failures, system errors or other issues, including any such failure which is within the control of DMC or its agencies, DMC and its agencies will not be responsible for the competition, prize or for the non-inclusion of entries. Proof of submission of entry is not proof of receipt of entry. 18.In the event of any dispute our decision is final. 19.By entering you confirm that you have read and agree to these terms and conditions. 20.If you want to know who won, you can email dmcusa@dmcus.com within two months of the end of the competition Period quoting “Competition Winner Query” in the subject title. 21.These terms and conditions are governed by English Law and shall be subject to the exclusive jurisdiction of the English Courts.